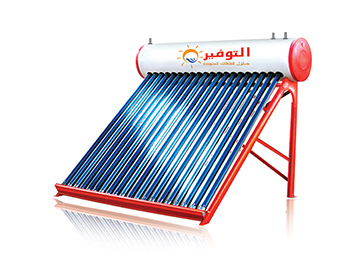 Why solar heater with evacuated tubes? Generate free energy from the sun. Have access to hot water 11 months a year. Save on water heating power consumption. Ensure maximum absorption of sun energy with ultra-efficient design. Benefit from ease of installation and maintenance. Over 10 years of experience in fabrication and quality of workmanship. Expert engineers to deliver an innovative, cost effective and customized service. On-time delivery and high quality standards to each project we undertake. Convenient, 24/7 support and a 5-year installation warranty. On-the-ground presence and points of sale across the several locations nationally. Continued demand and expansion of our services in the Middle East and CIS countries. What are the main advantages of evacuated tubes vs. flat plate collectors? Increased Efficiency: due to the tubular shape of the evacuated tubes, the sun is always perpendicular to the surface of the glass for most of the day, unlike the flat plate which reaches maximum efficiency only at noon time. Minimum Heat Loss: since air is evacuated from the glass tubes to form a vacuum, it reduces the heat loss from the tube. This means that wind and cold temperatures have less effect on the collector’s efficiency. Freeze Protection: evacuated tube collectors can be used in freezing conditions without the system being damaged, unlike the flat plates which require more sophisticated antifreeze systems which increase maintenance costs and lower efficiency. High-yield :the selective heat-absorbing material ensures the absorption of all forms of the direct and indirect heat in the atmosphere. 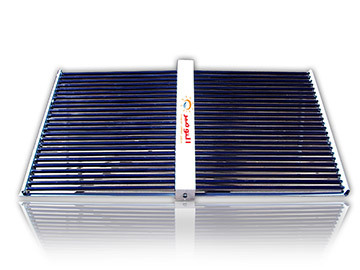 Most of the produced and sold solar collectors are used for supplying residential hot water using compact thermo siphon systems. Commercial solar systems are installed for heating or preheating water in hospitals, hotels and businesses using compact thermo siphon systems. The solar system is linked to the hydraulic circuit used for filtration, and this makes the installation very easy. Solar heating systems can be used to support various kinds of heating systems. Due to high temperature provided only by evacuated tubes, a split system can be used for many industrial applications.